"Although many of my clients regard me as a relaxation expert, I have very extensive training and am extremely effective at helping people who suffer from chronic pain conditions such as back, shoulder and neck pain; tendonitis, fibromyalgia and chronic fatigue syndrome. I have also great success with headache sufferers and carpal tunnel syndrome. "Before we do any massage, I'll sit down and get to know you better. I'll listen closely to your needs, wants and feedback so I can provide you with exactly what you want. I have extensive training in a wide range of techniques, which allows me to cater to your specific needs and make each session unique for you. "I'm very proud that I've been able to help so many people and made a notable positive difference in their lives. And I would like to be able to help you too. Please take advantage of my gift to you. Print out the gift certificate on the home page. Then give me a call today to schedule a time that's convenient for you. I'm looking forward to meeting you." "Rebecca consistently provides me with a great, relaxing massage." Massage makes a unique gift. 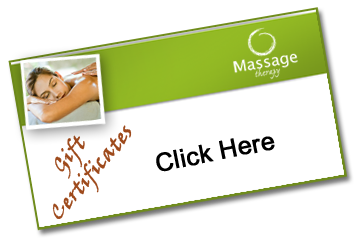 If you need to get something special for a friend or loved one in Joliet or Will County, consider a massage therapy gift certificate. Call the office at (815) 741-9741 to order today or pass on this special Joliet massage gift certificate. The Sojourn Therapeutic Massage office is quiet and serene. 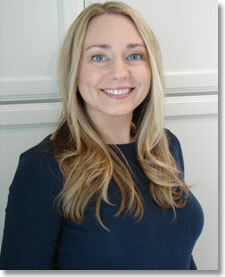 Rebecca is also the massage therapist of choice for residents of nearby towns like Plainfield, Lockport, Naperville, Orland Park and Tinley Park.